Could too much sugar be deadly? The biggest study of its kind suggests the answer is yes, at least when it comes to fatal heart problems. It doesn't take all that much extra sugar, hidden in many processed foods, to substantially raise the risk, the researchers found, and most Americans eat more than the safest amount. Having a cinnamon roll with your morning coffee, a super-sized sugary soda at lunch and a scoop of ice cream after dinner would put you in the highest risk category in the study. That means your chance of dying prematurely from heart problems is nearly three times greater than for people who eat only foods with little added sugar. For someone who normally eats 2,000 calories daily, even consuming two 12-ounce cans of soda substantially increases the risk. 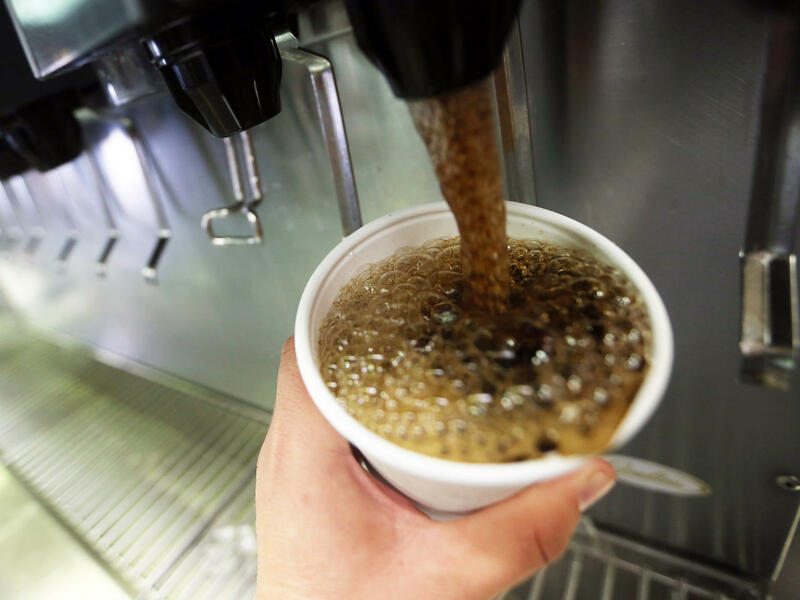 For most American adults, sodas and other sugary drinks are the main source of added sugar. Lead author Quanhe Yang of the U.S. Centers of Disease Control and Prevention called the results sobering and said it's the first nationally representative study to examine the issue. Scientists aren't certain exactly how sugar may contribute to deadly heart problems, but it has been shown to increase blood pressure and levels of unhealthy cholesterol and triglycerides; and also may increase signs of inflammation linked with heart disease, said Rachel Johnson, head of the American Heart Association's nutrition committee and a University of Vermont nutrition professor. Yang and colleagues analyzed national health surveys between 1988 and 2010 that included questions about people's diets. The authors used national death data to calculate risks of dying during 15 years of follow-up. Overall, more than 30,000 American adults aged 44 on average were involved. Previous studies have linked diets high in sugar with increased risks for non-fatal heart problems, and with obesity, which can also lead to heart trouble. But in the new study, obesity didn't explain the link between sugary diets and death. That link was found even in normal-weight people who ate lots of added sugar. "Too much sugar does not just make us fat; it can also make us sick," said Laura Schmidt, a health policy specialist at the University of California, San Francisco. She wrote an editorial accompanying the study in Monday's JAMA Internal Medicine. The researchers focused on sugar added to processed foods or drinks, or sprinkled in coffee or cereal. Even foods that don't taste sweet have added sugar, including many brands of packaged bread, tomato sauce and salad dressing. Naturally occurring sugar, in fruit and some other foods, wasn't counted. Most health experts agree that too much sugar isn't healthy, but there is no universal consensus on how much is too much. U.S government dietary guidelines issued in 2010 say "empty" calories including those from added sugars should account for no more than 15 percent of total daily calories. The average number of daily calories from added sugar among U.S. adults was about 15 percent toward the end of the study, slightly lower than in previous years. The authors divided participants into five categories based on sugar intake, from less than 10 percent of daily calories - the safest amount - to more than 25 percent. Most adults exceed the safest level; and for 1 in 10 adults, added sugar accounts for at least 25 percent of daily calories, the researchers said. The researchers had death data on almost 12,000 adults, including 831 who died from heart disease during the 15-year follow-up. They took into account other factors known to contribute to heart problems, including smoking, inactivity and excess weight, and still found risks for sugar. As sugar intake increased, risks climbed steeply. Adults who got at least 25 percent of their calories from added sugar were almost three times more likely to die of heart problems than those who consumed the least - less than 10 percent. For those who got more than 15 percent - or the equivalent of about two cans of sugary soda out of 2,000 calories daily - the risk was almost 20 percent higher than the safest level. Sugar calories quickly add up: One teaspoon has about 16 calories; one 12-ounce can of non-diet soda contains has about 9 teaspoons of sugar or about 140 calories; many cinnamon rolls have about 13 teaspoons of sugar; one scoop of chocolate ice cream has about 5 teaspoons of sugar. Dr. Jonathan Purnell, a professor at Oregon Health & Science University's Knight Cardiovascular Institute, said while the research doesn't prove "sugar can cause you to die of a heart attack", it adds to a growing body of circumstantial evidence suggesting that limiting sugar intake can lead to healthier, longer lives.